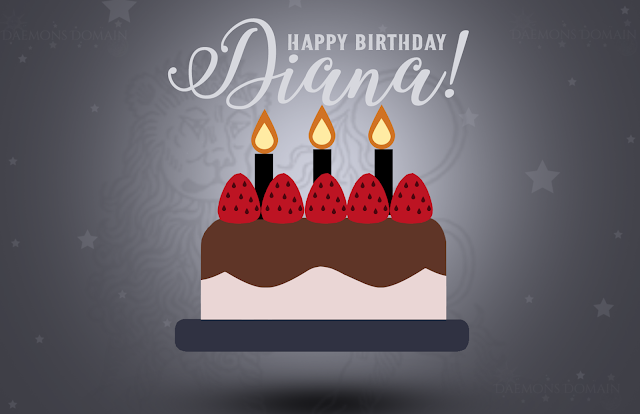 Daemons Domain - All Souls Trilogy & Universe Fan Site + Podcast: Happy Birthday, Diana! A Joint Giveaway! Happy Birthday, Diana! A Joint Giveaway! Happy Birthday Diana Bishop! -- We are celebrating with a joint giveaway! This giveaway is sponsored by us (Daemons Domain), The Tenth Knot, Daemons Discuss! (our podcast), and All Souls Con! What does this mean?! It means a great big giveaway with a lot of loot for one lucky winner. As is our tradition, we love ending the summer giveaway season with a bang! As always, we've provided multiple ways to enter (do one, some, or all)! Twitter users can enter daily by tweeting about it! All Souls Con options are there, so those of you registered to attend All Souls Con (virtually or physically) already have 5 entries to enter with! If not, go ahead and register to attend! To max out your entry possibilities, answer the survey question, and -- oh yes, maybe follow all of us on social media! ✩ From Daemons Discuss! : Your choice of All Souls Trilogy Audiobook from Audible*. Update! Congratulations, Jerilyn! We had to replace her Audible audio book; Audible no longer allows gifting of individual e-books. 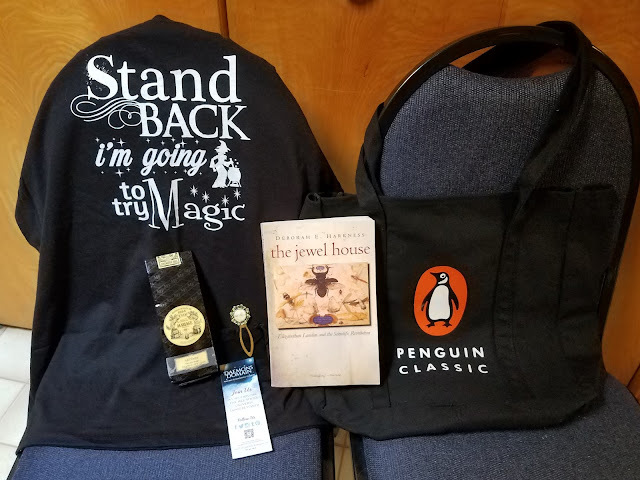 We sent her a copy of The Jewel House (by Deborah Harkness), instead! A Discovery of Witches Episode Reviews! UNTIL ALL SOULS CON 2019! New to this World? Click below for some guidance!